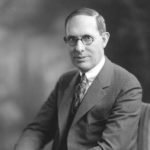 Charles Kettering sometimes known as Charles “Boss” Kettering was an American inventor, engineer, businessman, and the holder of 186 patents. He was a founder of Delco, and was head of research at General Motors from 1920 to 1947. Among his most widely used automotive developments were the electrical starting motor and leaded gasoline. In association with the DuPont Chemical Company, he was also responsible for the invention of Freon refrigerant for refrigeration and air conditioning systems. "My definition of an educated man is the fellow who knows the right thing to do at the time it has to be done. You can be sincere and still be stupid." "The opportunities of man are limited only by his imagination. But so few have imagination that there are ten thousand fiddlers to one composer." "A person must have a certain amount of intelligent ignorance to get anywhere." "Knowing is not understanding. There is a great difference between knowing and understanding: you can know a lot about something and not really understand it." "An inventor is simply a fellow who doesn’t take his education too seriously."